The village of West Toronto Junction becomes the town of West Toronto Junction. 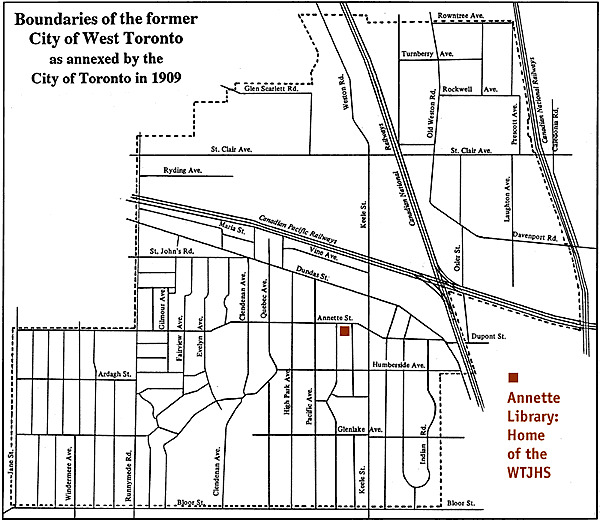 For many years West Toronto was essentially a Canadian Pacific Railway company town. In 1889, CP's principal Toronto engine shops and freight yard were located here and all CP passenger trains entering Toronto passed through West Toronto. Trains from Montreal and Ottawa proceeded along the North Toronto Branch from Leaside and then reversed direction five miles into Union Station. This situation was only resolved with the opening of the Don Branch along the Don Valley from Leaside to the Lakeshore in 1893, when CP trains from the east could finally proceed directly into downtown Toronto. "Junction" was officially dropped from the municipal name as other industries established in the area and some influential residents found the term too parochial. 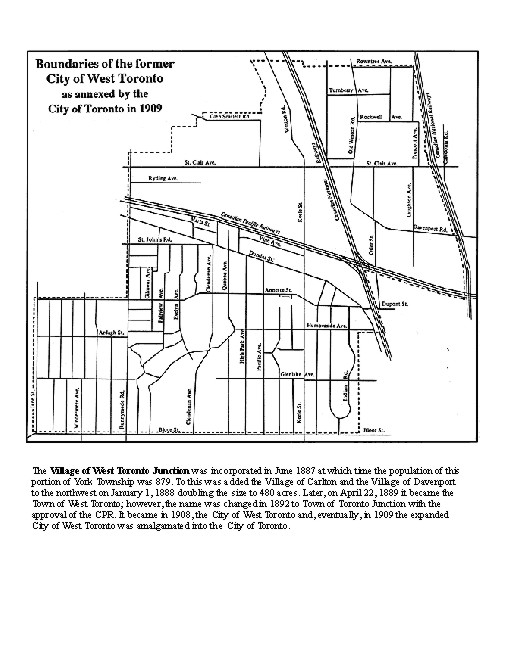 West Toronto became a city in 1908 and was annexed by the City of Toronto in 1909. Most people still refer to the area as "The Junction."